On Saturday August 29th, I ran the Sundae Run 5k. The race was located about 5 miles from our house and didn't start until 9am which made it an easy pre-race morning. 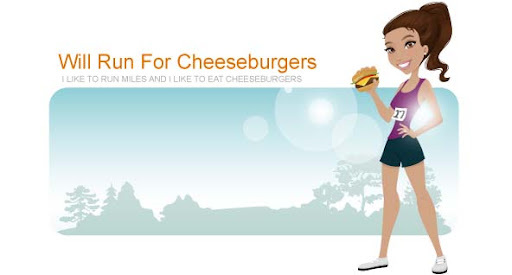 Tradition states that I must eat a cheeseburger and drink a beer the night before a race ... the Sundae Run 5k was no different. We went to Smashburger where I ordered their "big" Classic Smashburger, no tomatoes, and split a side of French fries with Ryan. It was washed down with a Fat Tire amber ale. So tasty! The morning of the race I drank 1/2 cup of coffee and had a slice of toast with almond butter. We headed off to the race as a family and got there about 30 minutes early so that I could pick up my packet. I wasn't sure what to expect and found that the race was smaller than I had anticipated. It was held at a local middle school which was pretty cool since the start and finish happened on the track. I lined up near the front of the pack and started off a little faster than normal. I finished mile 1 in 6:51 minutes and was disappointed to see the hills in mile 2 and 3. Somehow I dragged myself to the finish and ended the race in 22:08 minutes. This time was good enough for 4th overall female, 1st place female 30-34. The award was a plaque which was a nice change since most races don't give out actual awards. Instead of the normal post-race snacks (bananas, bagels, and granola bars), this race featured a make your own ice cream bar. Mason and I split a huge bowl of cookie dough ice cream complete with sprinkles, marshmallows, and gummy bears. This was a great race that benefitted the local community. Lots of families came out to participate which made it feel laid back and fun. I would totally do this race again next year!